Are you planning on learning how to use CAD software? Are you not quite sure exactly what material you need to start learning? This is the guide to help you improve your CAD skills. By practicing the beginner to expert level exercises, you will learn the use of CAD software and at the same time have a finished design to be proud of. How will this help you learn? With these exercises, you will be challenged on all aspects of 2D and 3D design. While doing the exercises, you will come across hurdles which will require specific tricks. This will increase your ability to find techniques that are relevant and at the same increase your skill level in CAD. In addition, you will have at your disposal the 100 DWG file of the CAD exercises, free for you to use, edit and own. Instant Access! No More Waiting For Days For Your Material! If you want to learn CAD, this is a must have eBook. It contains 2D and 3D exercises that will push you to learn the exact techniques to take you from a beginner to an expert. The exercises are a great way to assess yourself. Practice exercises are a foundation of any CAD learning process. Take the time you have now to practice. 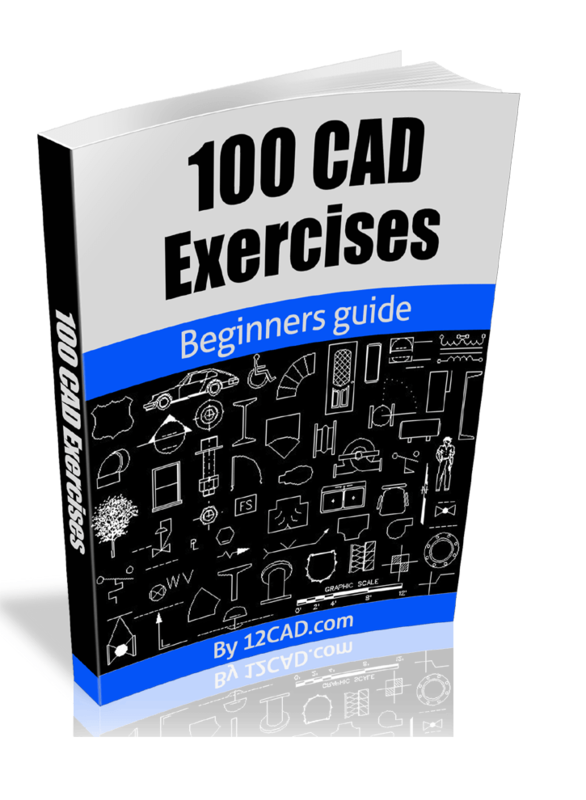 If you are a freelancer trying to understand CAD, a professional trying to increase your CAD skills, or even a student starting to learn CAD, the 100 CAD Exercises will be a major asset in your arsenal. It is easy to get started. Just click on the button below, purchase the item, and an email will be sent to you with instruction on how to access all of these tools. Thanks for taking the time to read this. I wish you nothing less than success.